What Is An IP Security System? 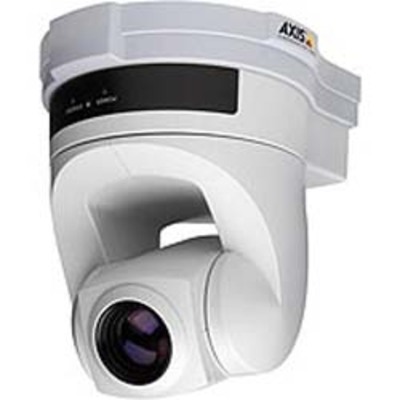 An IP security system uses an Internet protocol camera to record images that can be viewed by any electronic device that is connected to the Internet. An IP security system can be either wired or wireless. It is easy to install these types of security systems in your home; if you don’t have much experience with electronics, you should contact a professional home security company for help. Protecting your home with a security alarm system will give you greater peace of mind. If you are away from home for long periods of time during the day, you should protect your home with a variety of security devices. The Internet is an excellent place to research home security devices, and there are many different types of systems available online. There are a few home security tips you should follow to improve your level of security. First, make sure everyone in your family knows how to work your security system. When you go on vacation, ask a trusted neighbor or family member to check on your home from time to time. Don’t tell casual acquaintances that you are going out of town; this could be an invitation for a potential intruder to invade your home while you are away. If you don’t have anyone to check on your home while you are gone, you can buy timers that will operate your lights and electronics, giving the illusion someone is home while you are away. Choosing the right home security system comes down to your needs, and the fastest way to find the type of system that will meet these needs is to ask a professional home security worker. You can find these professionals at any retail store that carries home security equipment. Let them know what you want to accomplish with your security system, and they will help you choose a home security manufacturer that has a good reputation for quality service, ensuring your home security system will last for many years. Home security devices such as door and window sensors are available to alert you to the presence of an intruder. Meet with every family member to create a plan for home security; everyone should know what to do if the alarms are tripped (calling 911 should be the first step!). Consider taking self-defense courses to help you prepare for the unexpected. You will learn many security tips in these classes that you may not have thought of before. You can find self-defense classes at businesses that offer karate lessons. Many neighborhoods have crime watch programs that reduce the risk of home invasion; find out how you can participate by contacting your local police department. When everyone in the neighborhood is watching after each other, the whole community is much safer. The investment in a home security system will be worthwhile when you think of the valuables the system helps you protect. If you are insured against a home break in, take pictures of your expensive possessions so you can prove to your insurance company you owned these items. Make sure your outdoor landscaping does not make it convenient for an intruder to hide. Overgrown landscaping makes the perfect hiding place for an intruder, so keep all trees, shrubs, and bushes trimmed. Never hide your house key outside your front or back doors, since this is the first place an intruder will look to gain access to your home. Combining multiple security systems and devices greatly reduces your chance of becoming a victim, so keep your system on at all times. There are important personal precautions you can take when you are away from home. If you are on vacation, know the safest areas to walk, and always carry your cell phone with you. Tourist attractions bring out local criminals, so don’t wear expensive jewelry or flash a lot of money while on vacation. Research your vacation destination spot before your trip to learn more about the area; government embassy websites provide useful warnings for travelers. It is important that you understand the level of crime in the areas you travel to. Shopping malls are a frequent location for thieves; be aware of your surroundings at all times when walking in a parking lot or garage. Lock your purchases in the trunk where they can’t be seen, and make sure you lock all the doors to your vehicle. If you suspect someone is following you in the parking lot, hitting your car’s panic button will create a lot of noise and reduce your chances of becoming a victim. If someone is following you in your vehicle, do not go straight home; instead, seek out a public place or the nearest police station. Many criminals are looking for people who are alone, so travel in a group when you go out at night, and don’t talk or text on your cell phone if you are walking alone; reduce your chance of becoming a victim by being aware of your surroundings. Home and personal security tips can also be found on your local police department’s website, and you can hold regular family meetings to talk about your security plans. Make sure you family members are aware of security issues that face your community; knowledge can help reduce your chances of becoming a victim. Choose a home security system that fits with your family’s lifestyle and budget. If you want to know more about our professional services, contact us today and schedule your first consultation for free!